As new academic year starts, ICTO has prepared the Macao Public Holidays List 2019 and UM Almanac 2018/2019 for UM members to import them to their Outlook Calendar. Please download one of the following iCalendar files to the folder on the local drive (e.g. Desktop). 2. 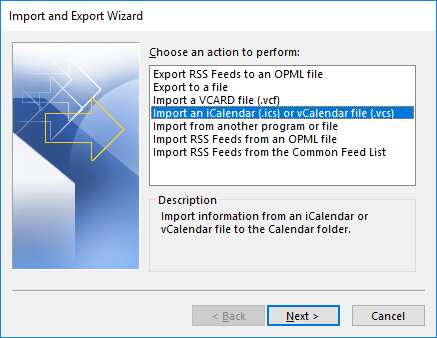 Select [Import an iCalendar (.ics) or vCalendar file (.vcs)] > [Next]. 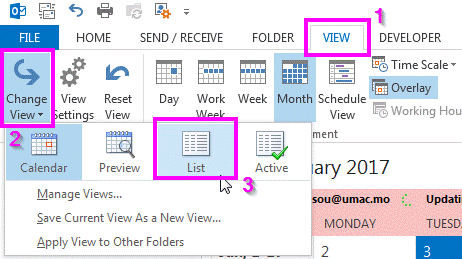 3.Select the iCalendar file which you have downloaded in Step 1. 4. Click [Import] button to finish the operation. 5. Close the result dialog box (if any) after the operation is completed. 1. 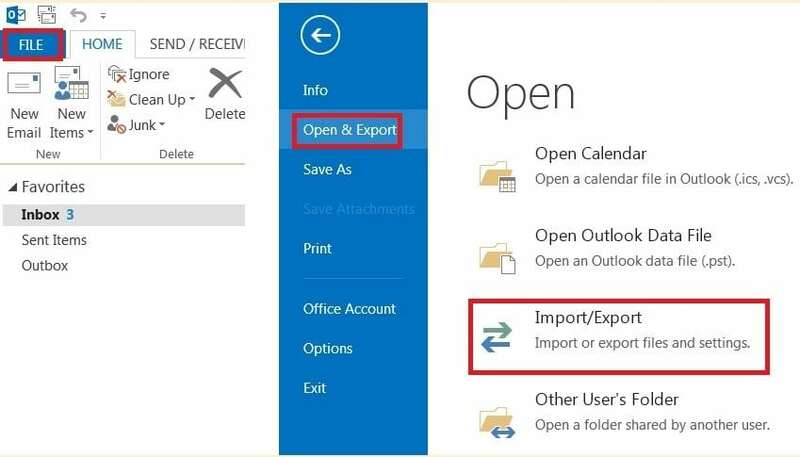 Double click the iCalendar (.ics) file to open it in Outlook. 2. 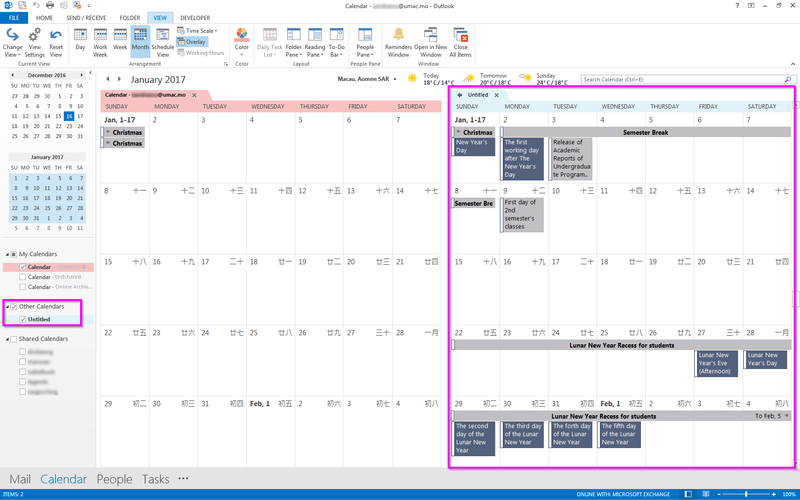 The iCalendar file is opened in Outlook which named “Untitled”. 3. Switch the View to the List View. On the “View” tab, in the “Current View” group, choose “Change View” > “List”. If it still returns to Calendar View, please repeat the Step 4. 4. Click on the “Untitled” calendar. Select only one of the item in the list and use “Ctrl+A” to select all items. Press “Ctrl+C” to copy. 5. On the left, select the Shared Calendar that you’d like to add Public Holidays. Follow Step 4 again to switch the View to the List View. 6. Click on the list and use “Ctrl+V” to paste. To know more, please refer to ICTO Knowledge Base.